Happy May Day! I’ll be on the last 7-8 stages of the Camino Portugués Central route later this month. Next year I plan to walk the Camino Inglés, and in 2018 I’ll share my experience on the Camino Francés. However, I want to provide details on these routes sooner, so I am collaborating with people who are walking this spring. Camino collaboration was one of my intentions for 2016 for the blog, so I’m happy to introduce James Portelli as an official Route Reporter for the Camino Inglés 2016. James takes gorgeous photos and documents his travels with the perfect amount of practical info and thoughtful reflection. Here’s a sweet intro that James provided to get a glimpse of what’s to come. The above is a photo of my mantra which I scribbled on a purposely available wall in a small tavern close to Hotel Langosteira in Finisterre in Autumn 2015. Some 30 years ago I began my longest journey thus far with my life-long companion and wife, Tucc. We have (and continue to) embrace, rub shoulders, lock horns, laugh, cry, love, learn and, well, live life to the fullest with the knowledge that we are there to catch each other when either of us falls. Our parents left us a legacy that money can’t buy; attributes that make us who we are, and we endeavor to pay this forward. We are blessed that our children follow in our footsteps. And so the journey continues. With both children having flown the nest to pursue their studies overseas and after almost two decades living elsewhere in Europe and in the Middle East, we returned home to Malta. This was a significant upheaval in our lives but one we were looking forward to. We had to ‘take it one down’, re-discover each other, build a new circle of friends with common interests and, as we approach our 50s, ensure that our social life revolves more around the healthy outdoor pursuits and less on dining out. We always enjoyed hiking so in 2015 we started training for our first mini-Camino, the 115 km stretch from Sarria to Santiago on the Camino Frances in May 2015 while raising money for charity. We did this with a group of close to 60 other peregrinos. Words are a poor vehicle to explain the intensity of emotions and spirit of this experience. There were times of exhilaration, joy, a strong sense of camaraderie and then … times of quiet introspection. In Autumn, while Tucc was helping our daughter re-settle in at her new student accommodation in the United Kingdom, I hit the road again with three other peregrinos on the Camino Inglés. We were later joined by a fourth peregrino from Santiago to Finisterra. This was more of a challenge. We only had five days to spare and 220 km to cover from Ferrol to Finisterra. We walked an average of 45 km a day; 52 km on our longest day. Autumn, like spring, is a great time for the Camino. The landscape changes daily from green to a kaleidoscope of olive, ochre, orange, rust, mustard, and yellow among the evergreens. There are also winged pilgrims during this season as birds migrate south for winter. We had two days of rain; nothing that a poncho, waterproof pants and proper trekking boots do not withstand. Springs came alive along the route. The Camino Inglés, being less popular and it being autumn, we did not pre-book albergues. On the first day we commenced in Ferrol, walked through Pontedeume and stayed in the municipal albergue in Miño. On the second day we walked through Betanzos and stayed at the municipal albergue in Hospital Bruma and at the end of the third day we arrived in Santiago de Compostela. We then covered the 93 km stretch to Finisterre in two days, arriving by nightfall at the lighthouse. Exhausted but elated we settled down for a pilgrim’s meal and slept until sunrise. Why sunrise if we had completed our Camino feat? The picture below of the crociero with a Finisterre sunrise as a backdrop says it all. No amount of verbal articulation can encapsulate it. This experience kindled the desire within me to return to the Camino Inglés, through to Finisterre, with my wife. 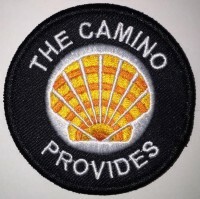 We started training with like-minded people immediately upon my return and from May 13th to May 22nd (shorter distances per day this time) we will be undertaking the Camino Inglés with a few friends of ours. Similarly to last year we have taken the opportunity to raise money for charity through treasure hunts, organized treks, CSR (corporate social responsibility) activities for companies and through private donations. Tucc and I will be traveling to Spain earlier to visit Monserrat (the start of arguably the longest Camino on Spanish terrain exceeding 1,000 km, i.e. the Camino Aragones), Manresa and Barcelona. This year Laurie Ferris of The Camino Provides asked whether I would provide a day-by-day account of our Camino Inglés. Needless to say, I happily accepted. Anything to spread the Camino bug! 🙂 I will be outlining daily distances, details of accommodation, en-route cafes, places of interest as well as a glimpse of our overall experience in a daily report. When the first Camino Inglés Route Report goes live in a couple weeks, I’ll publish it at this new page (caminoprovides.com/routes/ingles2016) and will add James’ daily updates to the page as he continues their Camino. I will also announce his daily updates on my Facebook page, so be sure to Like Facebook.com/CaminoProvides, to be alerted about James’ reports. If you have plans to walk a Camino this summer or fall and would like to be a Route Reporter for this blog, contact me. The Camino Francés will be covered by Cathy Seitchik Diaz, but other routes are open for pilgrims with a desire to share useful tips and high quality photos of their Camino. This could be a good platform for those who don’t have a blog of their own and want a publicly visible page to refer to. 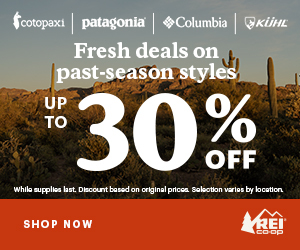 See you on the trail, or on the Camino Portugués May 21-30! Happy a great trip, Laurie!